You can only Special Summon "Sky Striker Ace - Hayate(s)" once per turn. This card can attack directly. 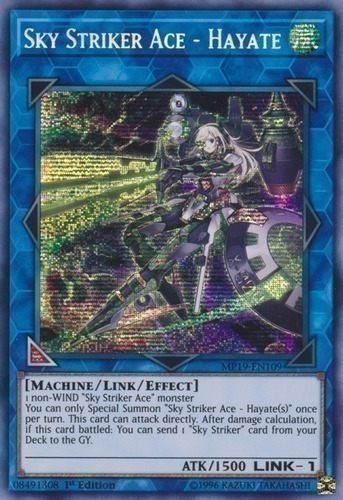 After damage calculation, if this card battled: You can send 1 "Sky Striker" card from your Deck to the GY.